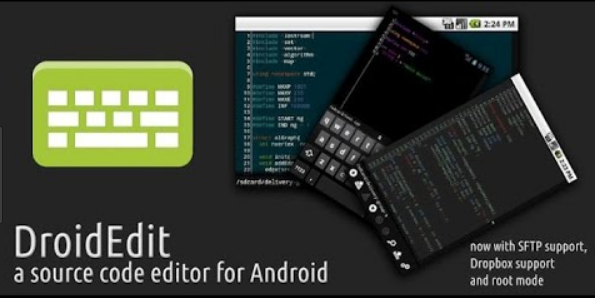 DroidEdit is specially useful for new generation android tablets with external keyboards like the Asus Transformer. 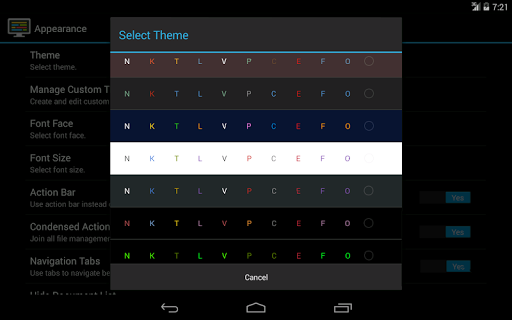 Try Hacker’s Keyboard for a developer friendly virtual keyboard. 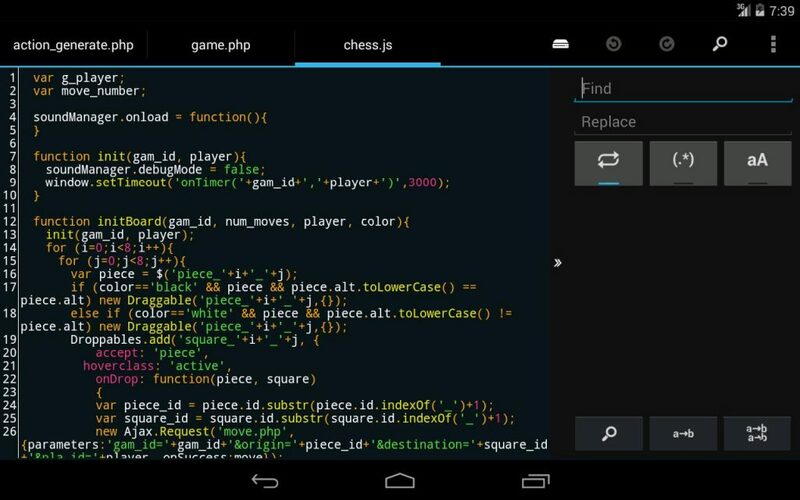 You should try the ad supported DroidEdit Free before buying this app. The ad free version has exactly the same functionality as the paid version except it doesn’t have SFTP support, Dropbox support, Custom themes and root mode.